In the wake of a horrific national tragedy in the U.S., where 20 schoolchildren were shot and killed in an elementary school mass shooting in Sandy Hook, Connecticut, the role of “violent” video games is under immense scrutiny and part of a national debate spurred from this incident. In this context, Diane Franklin, a Republican member of the House of Representatives, Missouri, has proposed a sales tax on violent video games. According to an Associated Press report published on the NBC News website, Missouri’s Rep. Diane Franklin proposed the 1% sales tax to be charged only on video games rated Teen, Mature, and Adult by the ESRB (Entertainment Software Rating Board). Franklin wants the sales tax levied on violent video games to finance mental health programs and direct law enforcement efforts to curb mass shootings in the future. Similar attempts to target violent video games failed in the American states of Oklahoma in 2012 and New Mexico in 2008, reports NBC News, while a California law preventing the sale of violent video games to minors was dismissed by the U.S. Supreme Court in 2011. "Taxing First Amendment protected speech based on its content is not only wrong, but will end up costing Missouri taxpayers," the Entertainment Software Association said in a written statement opposing Franklin’s proposal. There’s also ambiguity surrounding the proposal’s stand on ESRB ratings, which means Teen-rated popular video games like Guitar Hero, Batman: Arkham City, Need For Speed: Most Wanted, etc., with little or no violence will also be taxed. 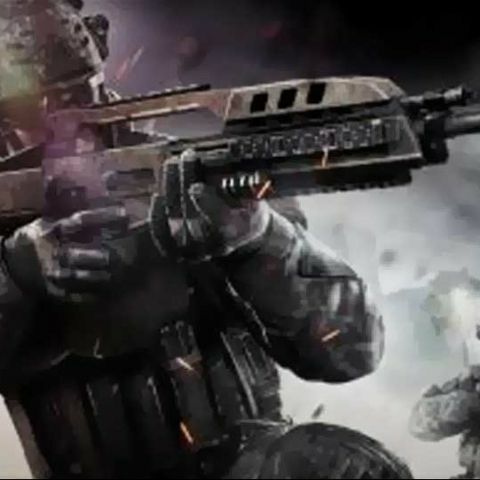 Amidst this raging debate on the role of violent video games as a trigger point for gun-related violence in the U.S., Max Fisher of The Washington Post is quick to point out the lack of connection between the two. In the graph above, Fisher points to the apparent lack of connection between video games and gun-related murders by extrapolating data from the United Nations Office on Drugs and Crime (and other sources). 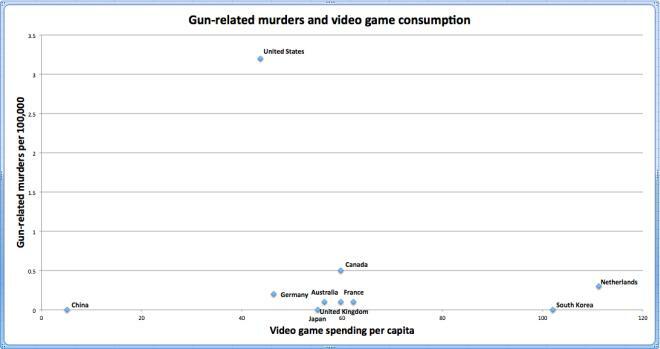 The graph suggests that despite more per capita spending on video games in countries like Germany, Australia, France, UK, Canada, South Korea, and Netherlands, gun-related murders in these nations account to less than a fraction of what transpires in the United States. Of course, the graph fails to differentiate between the types of video games consumed by different nations; also the concentration of violent video games in the analysis is lacking. But one would argue that games like Call of Duty: Black Ops II -- the poster boy of violent video games, with a record-breaking US $500 million sales figure on opening day -- would have fans all over the globe (not just in the U.S.) and would also make up a sizable chunk of this particular statistic. As Fisher states in his article, “The search for meaning is a natural response to any tragedy,” and while the role of violent video games is under investigation and debate as a potential trigger towards gun-related shootings, it is perhaps premature to jump to any logical conclusion in terms of drafting legislation against video games, given the lack of precise data required to ascertain the situation. Cower, puny human, for I am Big Daddy! The ground rumbles beneath my feet, the very air you breathe resonates to my primal roar. Mere mortals, I am the scourge of the n00bs, destroyer of worlds. Fear my might, tremble in my presence. What are Gouraud shading and texture mapping in 3-D video games?